LEXINGTON The sun shone brightly on Ashland, the Kentucky estate of Lexington’s famous favorite son, Henry Clay, on June 27, 2015 as nearly 400 guests attended the annual Lawn Party fund-raiser and celebration. Ashland was first built in 1809, and Clay lived there until his death in 1852. His son, James Clay, razed the original mansion, designed in part by Benjamin LaTrobe, architect of the U.S. Capitol in Washington, DC. The younger Clay rebuilt the estate in 1962 and incorporated Italianate, Greek Revival, and Victorian details. Among multiple other achievements, Henry Clay owned the first syndicated stallion in America, “Buzzard,” who was imported from England in 1806. Eleven of the descendants of the female line of Clay’s Ashland Stud have won the Kentucky Derby. The Lawn Party raises funds for the maintenance and operation of Ashland, the Henry Clay Estate. Ashland is a National Historic Landmark. LEXINGTON Four dressing rooms at the KentuckyOne Health Breast Care center were dedicated in honor of past employees, family members, and cancer survivors at a ceremony on June 10, 2015. Rooms were named: PAT for Patricia Campbell, a long-time employee of the Saint Joseph Hospital Foundation; KATHLEEN for Kathleen Marnhout, who was honored by her son Mike Marnhout, president of Bluegrass Oxygen; LYNNIE for the older sisters of both Saint Joseph Foundation Director of Major Gifts Di Boyer and her husband Rod; and NISE’ for an anonymous donor whose life was saved by a mammogram. KentuckyOne Health Breast Care at Saint Joseph East uses 3D mammography and 3D biopsy. The program performs almost 15,000 mammograms a year and over 500 mammograms through the Yes MAMM! Grant, which provides, at no charge, screening mammography and diagnostic services to women and men who are underinsured and underserved. The $20 million project is built on land donated by Bill Gatton, the namesake of the University of Kentucky College of Business and Economics. The new 58,000 square ft. complex will include an aquatics center, health and fitness centers, a gymnasium, running track, group exercise studios, community rooms, adult locker rooms, and an outdoor playground. Projected opening is fall 2016. BOSTON, MA/LEXINGTON, KY A cold, wet Monday, April 20, 2015 marked the second running of the Boston Marathon since the bombing of 2013. Central Kentucky physician Ron Shashy, MD, ENT, returned with several of his friends from residency to “Take Back Boston.” “The feel of the city was upbeat as it embraced runners from around the globe,” said Shashy. The Boston Marathon is the oldest annual marathon and one of the few which requires a qualifying time to enter. LEXINGTON The 26th Annual Saint Joseph Hospital Foundation Golf Event was held on Monday, June 8th at the University Club of Kentucky. 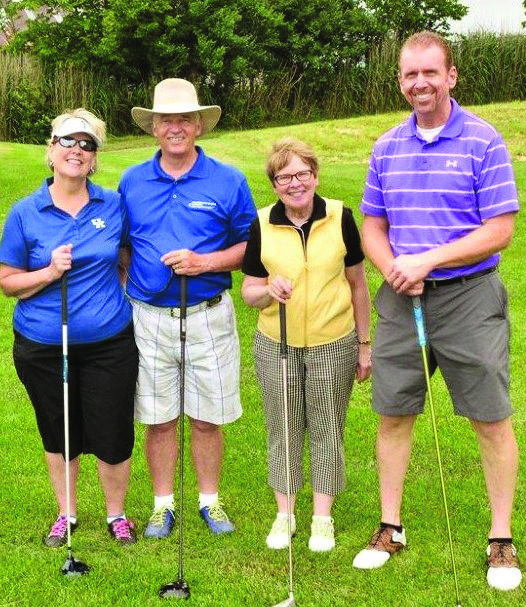 The event, presented by Bluegrass Oxygen, hosted 200 golfers and 30 volunteers for a full field at the UK Club. 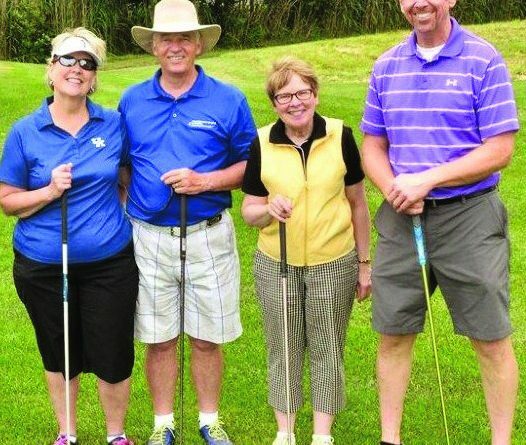 The event raised over $106,000 to support mission and outreach programs at Saint Joseph Hospital, Saint Joseph East, and Saint Joseph Jessamine RJ Corman Ambulatory Care Center. In 25 years, the event has raised more than $2.1 million to fund projects including the expansion of KentuckyOne Health Breast Care at Saint Joseph East, nursing scholarships, the Appalachian Outreach Program, Yes, Mamm! Mammography financial assistance, and other hospital outreach needs.